So, for the first time in what seems like decades, United fans were left breathless by a summer transfer window. Either the Glazer family had just discovered the addictive drug of Football Manager, or they finally realised that Van Gaal’s squad needed a major injection of cash. Yet, for all the exhilarating action of the final weeks of the window, the previous months had offered little to suggest any excitement. The early months of June and July began at a calm pace. Dead wood was shed as Alex Buttner was shown the exit and long term targets Luke Shaw and Ander Herrera, of fake lawyer fame, were quickly signed up, albeit for what seemed inflated prices. Nonetheless it was a strong and stable start. Ed Woodward, United’s much maligned head transfer honcho, had identified key areas for strengthening and had acted quickly to shore up defence and midfield. But then came silence. 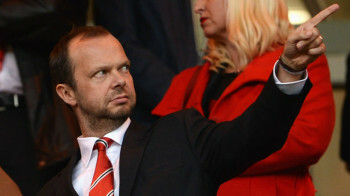 Much like in the previous summer windows, despite the urgent need for further transfers, Ed Woodward disappeared. The World Cup had come and gone. Now there was nothing to distract the hordes of questioning journalist from the crumbling walls of Old Trafford. The list of defects were trotted out for the umpteenth time. Defence was shaky. Midfield was sluggish. Attack was uninspiring. It was Ground-hog day on Fleet Street as the braying press-pack gleefully announced that the empire of old was fading away. A shock was in store, however, as Louis Van Gaal defiantly marched his troops into pre-season battle in America. Manchester United, perish the thought, played well. They performed with vigour and intensity and they beat the best. Real Madrid, Roma and Liverpool were amongst those to fall before the red juggernaut on its way to ICC glory. Suddenly things were looking up. Could Van Gaal push his undervalued band of underdogs back to Champions League relevance? This balloon of optimism was punctured in the first week of Premier League action. Injuries hit the squad hard and forgotten problems resurfaced. We had forgotten that pre-season never mattered, that Tom Cleverley was not a starting central midfielder and that we now depended on Ashley Young at left wing-back. The cracks that had been papered over time and again were becoming more and more obvious under heavy scrutiny. And truly, it seemed like United were trying hard to fill them. But like slippery eels, proposed targets squirmed through Woodward’s desperately snatching fingers. Vermaelen moved to Barcelona, Hummels was staying put and Vidal was proving elusive. An old storyline seemed to be developing yet again. Woodward had the cash, but he couldn’t quite tie up the top level deals. Sorry guys, did my best, let’s try again next time. But then came a plot twist that no-one could have predicted, perhaps not even Ed himself. Reality hit Louis and Ed like a double-decker bus, and United started to splash the cash in earnest. Angel Di Maria arrival was sandwiched between the two astute signings of Daley Blind and Mario Rojo. Something rarely seen anymore at Old Trafford: a world class player arriving for a British record fee. Finally, the Glazers were releasing their punishing shackles and allowing the United commercial behemoth to flex its muscles. Ed wasn’t done, though. He entered transfer deadline day with a glint in his eye and money to burn. Unbelievable reports filtered through twitter. Surprise was brewing. 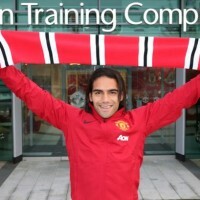 It seemed that Radamel Falcao’s transfer journey was taking another twist, this time towards the North-West of England. But not, as was widely expected at one point, to Manchester City. No. El Tigre, by some heralded as the best striker on Earth, had been enticed to the red side of Manchester by United’s new hero Ed Woodward. Or so everyone believed. But time continued to tick. Jim White was approaching atomic levels of excitement which meant only one thing. The window was about to SLAM shut. And still no confirmation. Even the sad departures of cult heroes Danny Welbeck and Chicharito did little to temper the excitement. It was finally announced. Radamel Falcao was now a Manchester United player. On loan for now, but with an option to buy. Many had to look twice to really take in the news. Of course, when the dust settles, the giddy, all encompassing excitement will fade. Fans and journalists alike will reflect in the cold light of day that this window was far from perfect. There seemed to be no strategy, no cohesion and no little amount of desperation. There are holes still to fill, but it is an encouraging move from the Manchester United money men. What we can all agree on, though, is that it was an exciting ride. One which is hopefully about to get even more exciting come Sunday afternoon.